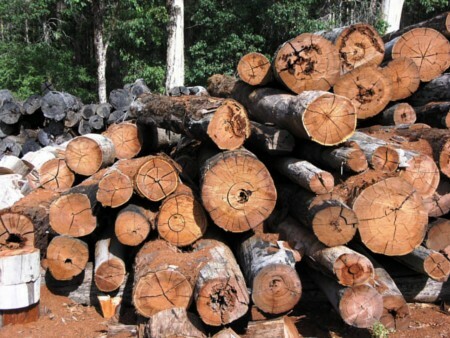 Lumber or timber is wood that is used as structural material for construction, or wood pulp for paper production. Lumber is supplied either rough or finished. Rough lumber is the raw material for furniture-making. Finished lumber is supplied in standard sizes, mostly used for the construction purposes.